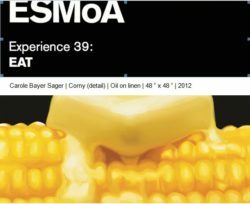 The El Segundo Museum of Art presents Experience #39: EAT February 28 through May 18. Curated by Dr. Bernhard Zuenkeler with curatorial assistance by Holly M. Crawford, EAT is a group show examining the creative power of food and eating across place and time. 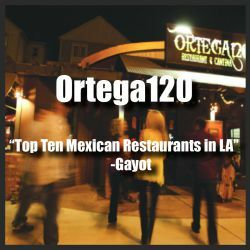 Over the centuries eating has been a tremendous accelerator of driving imagination and cooperation. Our bodies turn food into energy so that we may survive, thrive, and create. One of the fundamental actions of our lives. We sleep. We breathe. We eat. We love. Without eating nothing moves. But do we pay enough attention about what we eat, how we eat and when we eat? Do we care about preparation of our food, our celebration of eating together? Over the centuries, eating has been a tremendous accelerator of driving imagination and cooperation. Eating has been a driving force for the arts and vice versa. Cooking is certainly a form of art. The preservation of food, the development of new forms of food is a creative task. 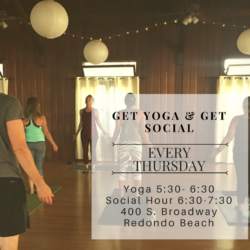 SoCal Yoga Social offers Get Yoga & Get Social every Thursday evening from 5:30 to 7:30 p.m. at the Woman’s Club of Redondo Beach. Expensive pants and perfect poses is not what this is about… Yoga has been priced out of many people’s reach and so many segments of society are being excluded. 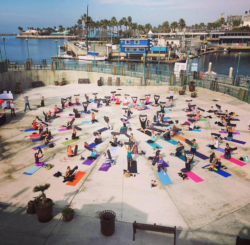 SoCal Yoga Social created a 501(c)(3) to ensure that everyone can join and be a part of the interconnectedness that yoga is meant to bring. Yoga is not a commodity. However, they need donations to maintain a space, compensate instructors and to grow. Once the class is over, stay for the after party! Attendees are encouraged to bring food and drinks and hang out for the social hour after class. 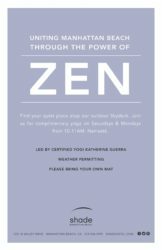 For additional information, visit the website at http://www.socalyogasocial.org/. 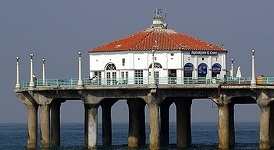 The Woman’s Club of Redondo Beach is located at 400 South Broadway, Redondo Beach, CA 90277. 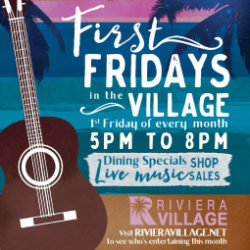 Riviera Village presents First Fridays from 5 to 8 p.m. every first Friday of the month. 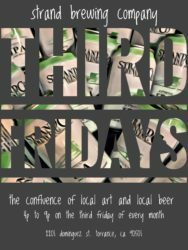 This free, monthly event is the place to be every first Friday! Head to the Village and enjoy live music, food samplings, gallery viewing, promotional offers and more while you dine and shop. Riviera Village merchants and art galleries stay open until 8 p.m. The energy will be fueled by live music at the north east corner of Avenue I and Catalina from 6 to 8 p.m. 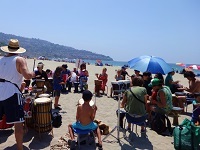 The Redondo Beach Pier Association and Cancer Support Community presents Yoga on the Octagon the second Saturday of each month from 10 to 11 a.m.
Beach Cities Health District offers a FREE Mindfulness Drop-In the first Wednesday of each month at 5:30 p.m.
Take 30 minutes to downshift and practice mindfulness techniques.The monthly sessions will be led by trained Beach Cities Health District staff. No prior experience with meditation or mindfulness is required. Please arrive a few minutes early to sign in and get settled. 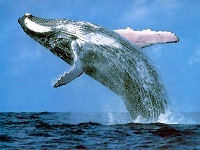 Whale watching is a time-honored tradition along the California coastline and the South Bay offers a magnificent vantage point to witness one of the world’s great seasonal migrations. The Gray Whale Migration runs from December through April with the whales travelling through our local waters from Alaska to Baja, Mexico and back. There have been an unprecedented number of Gray Whale sightings the past few seasons. In addition, several other species have been spotted including Fin, Minke, Humpback and Sperm whales, along with numerous Orcas (technically, not a whale!). 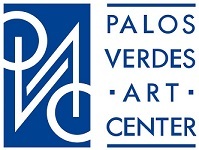 El Segundo Museum of Art hosts the Drawing Club every Friday from 10 a.m. to 11 a.m. 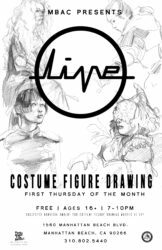 In this informal drawing club, attendees will start with warm-up drawing exercises and then take inspiration from the featured artworks. No artistic experience is required and all supplies will be provided. This program is for adults. Vroom, vroom! The Cruise is back! 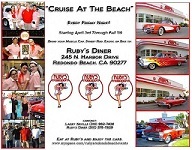 Cruise at the Beach returns to Ruby’s Diner in Redondo Beach for the season! Open to the public, this free event happens every Friday night through October and features a gathering of vintage automobiles on display in the Ruby’s Diner parking lot from 4 to 8 p.m. 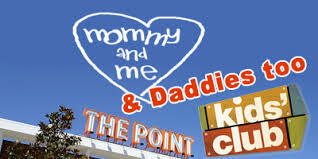 The Point hosts the Mommy & Me (and Daddy’s, too!) Kid’s Club the third Thursday of every month, May through December, from 10 a.m. to noon. Parents of pre-schoolers know it’s not always easy to keep kids stimulated and occupied, and it can be downright exhausting. 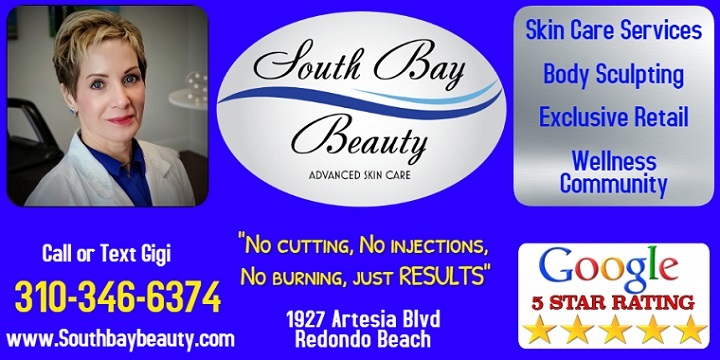 Luckily, The Point is kicking off a monthly Kid’s Club to provide nothing but fun activities and good times for South Bay families, at no charge. Parents and their pre-school aged kids are welcome to come to The Point for arts and crafts, live entertainment, face painting, stilt walker, Smitten Ice Cream tastings and more! Athleta presents FREE Workouts every Sunday morning from 10 to 11 a.m. at The Point in El Segundo. Join the Athleta crew for a FREE workout taught by local instructors on the grass in the Plaza. The schedule includes Yoga, Couples Yoga, Yoga Cycle, Pilates, Sweat & Sculpt and more. Get ready to get your sweat on during these fun workouts! All you need to bring is your mat, water and a friend! prAna offers FREE Community Yoga every Saturday morning from 9 to 10 a.m. in store at The Point. Tight, tense, and not flexible? The answer is Yoga. This class is designed to sculpt your body making tight areas more agile It also improves and makes many functional activities a lot easier on your muscles and joints. 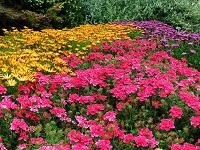 Variations and modifications are given to accommodate all levels and abilities. Enjoy food and drinks after class, prAna provides the yoga mats, and it’s open to all ages and skill levels! 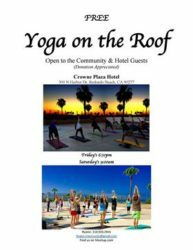 Crowne Plaza Redondo Beach hosts free Yoga Classes Friday evenings and Saturday mornings every week. 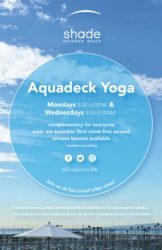 Led by yoga instructor, Ryann MacMurdo, the classes take place on the roof top at pool side with an incredible ocean view. It’s a refreshing and rejuvenating way to end the work week and start the weekend! 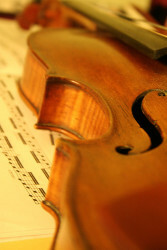 Classes take place at 6:30 p.m. on Friday evenings and 9 a.m. on Saturday mornings. 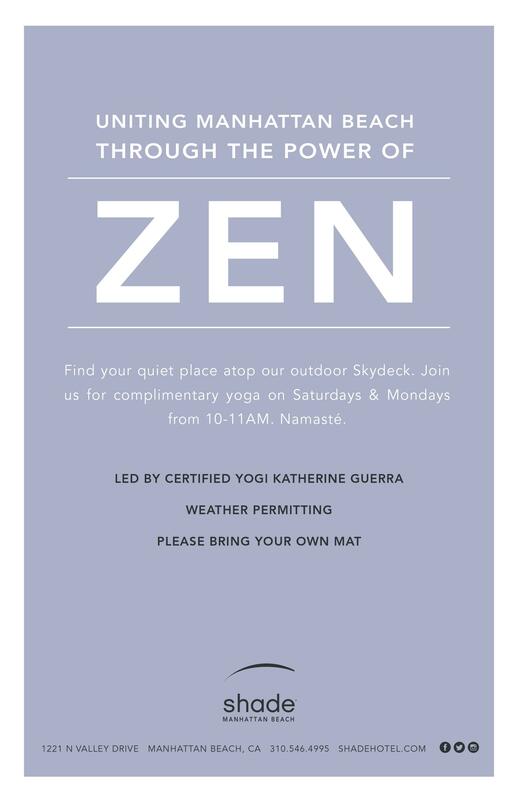 Attendees should bring a yoga mat, water and jacket in case of cool weather. 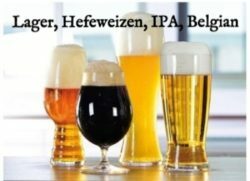 These classes are free of charge – but gratuities are appreciated! There is a fee for parking in the structure. For additional information, contact Ryann MacMurdo at 310-800-4924 or by email at ryann.macmurdo@gmail.com. The Crowne Plaza Hotel is located at 300 North Harbor Drive in Redondo Beach. The El Segundo Museum of Art (ESMoA) opened its doors in January 2013 with the intent to make art more accessible through creative and interactive experiences designed to engage the community. Founded by Brian and Eva Sweeney and curated by Bernhard Zuenkeler, ESMoA is a non-profit art space located in a new building next to the former post office on Main Street. 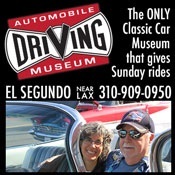 Southern California has a rich automotive history and the Automobile Driving Museum (ADM) is a favorite of car aficionados. 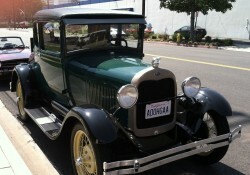 Located in El Segundo, the ADM exists to preserve automotive history. 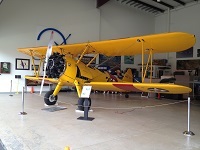 The ADM has an impressive, rotating collection of 130 classic, antique and historic cars on display. 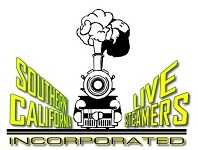 Several Southern California collector car clubs showcase their vehicles at the ADM and on any given weekend you can find collections of particular makes and models. 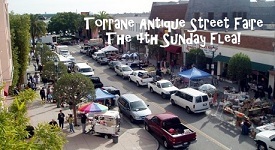 Join the vintage treasure hunt every fourth Sunday at the Torrance Antique Street Faire from 8 a.m. to 3 p.m. in historic downtown Torrance. 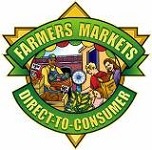 Over 200 sellers will be set up along the tree lined streets with antiques, collectibles, vintage clothes, furniture, jewelry, toys, tools, home decor and more…all on sale at bargain prices! The monthly event features live entertainment with DJ Ozzie in the park, Stacy Robin & Friends in the Plaza and live music in front of the coffee shop and Just Luigis. 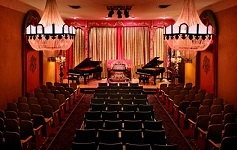 The Redondo Beach Performing Arts Center is the largest performing arts venue (1,457 seats) in the South Bay and showcases a variety of entertainment. 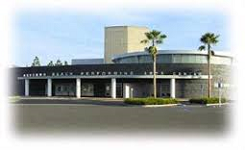 RBPAC plays host to the Distinguished Speaker Series, the Los Angeles Ballet, 3D Theatricals and live concerts including the Southern California Slack Key Festival, Aloha Falsetto Festival, Los Angeles Flamenco Festival, Los Angeles Guitar Festival and Gypsy Jazz Festival. Do you enjoy watching the latest foreign and independent films but loathe driving to theaters in Pasadena or Santa Monica to see them? 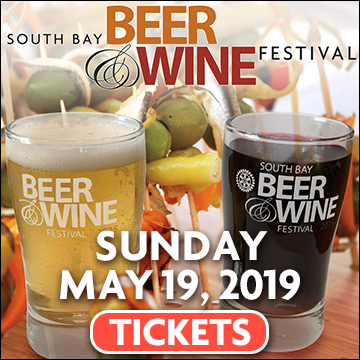 The South Bay Film Society was created to bring the best of new foreign and independent films to the big screen in the South Bay. The Society screens films shortly after they play art house theaters in West Los Angeles, Santa Monica, and Pasadena and well before the films are available on DVD. Are you looking for ways to expand your child’s education? Expose them to the world at large? Teach them the benefits of stewardship? 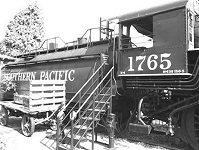 Engender an atmosphere of adventure and exploration? A visit to SEA Lab accomplishes all this and more in a fun and stimulating environment. Nestled in a structure located on the west side of Harbor Drive and Herondo, SEA Lab boasts an enchanting microcosm of Southern California marine life. 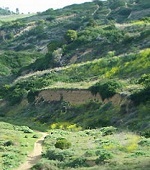 When you live in Southern California, it is predestined you will have friends and family come to visit. Often. Let’s be honest – hosting visitors can be a chore. You want your guests to enjoy their time here in the Land of LA but you’ve done Hollywood Boulevard and lunch at the Ivy to death. Cruising along Vista Del Mar on any given afternoon you’ve probably seen the colorful hang gliders hovering above the dunes overlooking the Pacific. Go ahead, admit it – you’ve wanted to stop and check out the action but for one reason or another kept driving. 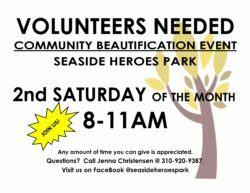 Here’s an idea: Pack a picnic lunch, drive to Dockweiler State Beach, unfurl a blanket and spend an hour or two lounging on the beach watching a few adventurous souls take hang gliding lessons.